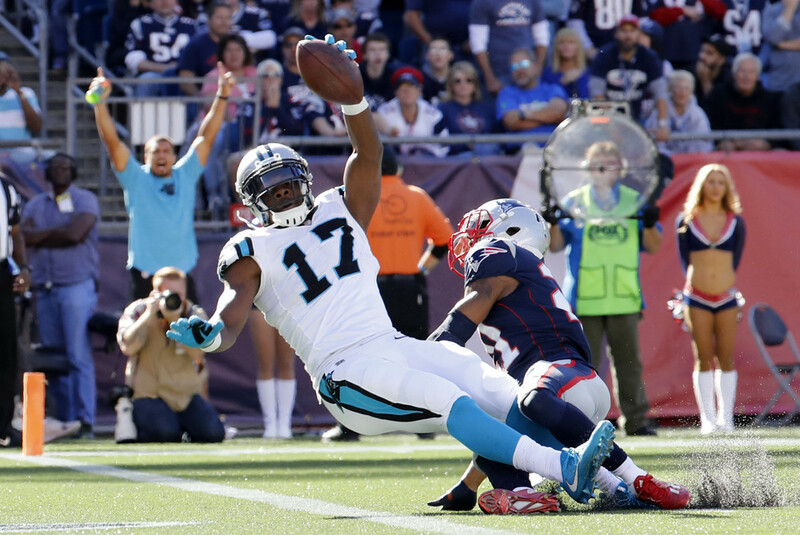 Funchess may have emerged as the true lead receiver for the Panthers. He’s led Carolina in targets three straight games and has now seen ten more targets than fellow wideout Kelvin Benjamin. Funchess is hot with three TDs the last two weeks and seven catches each game, and now he faces a bad Eagles secondary that’s allowed more yards to opposing WRs than any team. Funchess is ranked 29th this week but looks like a strong WR2 with plenty of upside in a marquee Thursday night matchup. Bryant has been seriously disappointing so far, with only one game over 50 yards receiving and just one touchdown. That could change against the Chiefs, who have allowed a league high nine TDs to WRs. They’ve been burned in particular by big, athletic playmakers like DeAndre Hopkins, Alshon Jeffery, and Terrelle Pryor, so Bryant could be a great candidate to find the endzone this week. Pittsburgh needs to bounce back after an embarrassing home loss to the Jaguars, and Bryant could be their spark. He’s ranked 36th but looks like a high upside flex or better. Jackson has seen his snap count increase each week and he sits second on the team in targets. He’s been hit or miss with two “hit” weeks and two misses, but this looks like another hit. Patrick Peterson should shadow Mike Evans all game and force Jameis Winston to look to his secondary options, and Arizona has been burned by teams’ second and third receivers despite shutting down the likes of Alshon Jeffery, Pierre Garcon, Dez Bryant, and T.Y. Hilton. Jackson is ranked 31st but this could be a week where he catches a long pass or two and puts up a big score. Washington is coming off a much needed bye week and should have a far healthier team going forward. Jordan Reed and Rob Kelley should both be back, and Crowder should be rested coming off a preseason hamstring injury that’s nagged him all season. The 49ers have allowed the fourth most yards to opposing receivers, and Crowder has continued to play a high snap count through injury. He could catch a lot of passes and have big value in PPR leagues, and he’s ranked just 45th so there’s high upside on a flex play here. Adams has scored four touchdowns already this season including a pair against Dallas, so you probably don’t need anyone to tell you to get him in your lineup. Still, he’s only ranked 21st this week for some reason and Adams could be in for a big game. Xavier Rhodes is a lockdown corner for Minnesota but there’s only one of him, and opposing second and third receivers have killed the Vikings all season. Adams is a must start with a huge ceiling.